Congrats on entering the home stretch of LSAT prep! Many students underestimate the importance of the few days immediately before they sit for the exam. 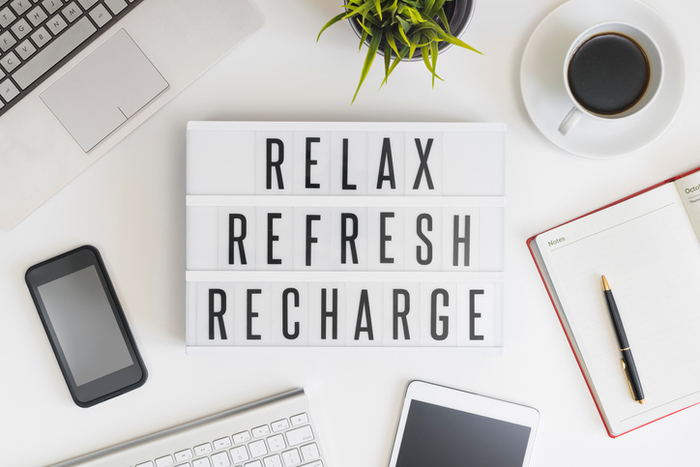 Our goal with this post is to give you some suggestions for making sure you’re fully rested and at your best on exam day. 1. Take the last 24 hours off. Burnout is real, and you don’t want to go into your LSAT with a tired mind. Do not take any full-length LSATs, or even back-to-back timed sections, during the day or so before your actual LSAT. Some students find it more stressful and distracting to go cold turkey and do absolutely nothing right before their LSAT. If you are one of these folks, set aside 10 or 15 Logical Reasoning questions, and maybe one Reading Comprehension passage and a Logic Game. At the very most, do one timed section. Use these for last-minute review and to keep your brain in the game, but only if you need to. 2. Watch a silly movie – or a classic. Here are some all-time greats: The Big Lebowski. Spy. Dazed and Confused. The Breakfast Club. Ferris Bueller’s Day Off. Zoolander. Clue. Clueless. The Princess Bride. The Never-Ending Story. Lady and the Tramp. Away We Go. Whip It. 3. Take a bath with lavender products. You know when it’s hard to obsess about something? When you’re putting all your mental energy into staying alive on that stupid stationary bike, or not keeling over out of that yoga inversion. Go to an exercise class, get your heart rate up, and forget your stress for a little while. This should also help you fall asleep at night. 5. Find a dog, and give it belly rubs. More and more, universities are making pet therapy available to their students. Petting a sweet pup (or kitty cat) is proven to lower blood pressure and elevate mood. Even if just for five minutes, try to clear your mind and do some deep breathing. 8. Read old comic strips. Calvin & Hobbes, Peanuts, Doonesbury and The Far Side. Guaranteed to cheer you up. 9. Eat a solid dinner and try to get 8-10 hours of sleep. The night before the exam, eat a balanced meal with plenty of protein. Avoid alcohol and stay hydrated. Go to bed early, and avoid “screen time” (your phone, iPad, TV)–the light from these devices can trick your brain into thinking it should stay awake. Yes, the LSAT is important. And yes, you want to do your very best. But just remember that even if test day doesn’t go exactly as planned, your law school dream is far from over. If the exam goes sideways, you can cancel your score and retake. It’s not the end of the world: trust us. Some of our highest-scoring instructors did just that–they sat for an exam that didn’t go as hoped, canceled, retook, and got into schools like Yale and Harvard. It really is going to be OK.
You got this! Wishing you nothing but the best!